In the early days of Web development, there were some problems that made coding difficult. First, there was very little compatibility between browsers. Microsoft went off in one direction, and other browser manufacturers went in others. In order to write code that could be called in response to a button click, you had to write several versions for different browsers. That was the first problem. Additionally, the Web standards group (W3C) took note of the way jQuery allows you to drill down into your elements, using a method that essentially matches CSS’s way of naming elements. As such, they added some standard methods for accessing your elements using these same CSS selectors. And now we’re at a point where many of the missing pieces (and additional features) jQuery filled in are present in browsers. So do you need to learn jQuery anymore? Let’s look to some of the experts to get their take. This does the same thing, using a function (querySelectorAll) that’s built into the newer browsers. If you dig further, you’ll find the same conclusion on other blogs: People are realizing they don’t necessarily need jQuery. Indeed, in my own development work, I’ve noticed over the past year that I’m relying on jQuery less and less. But before we move on, let’s look at jQuery’s official blog. Here, we see that the jQuery developers have stripped out the code needed for older browsers, resulting in a separate version of jQuery that targets only modern browsers. Because it doesn’t need nearly as much browser-specific code, this modern jQuery library is much smaller in code size than previous versions. To me, that sounds like even more of a justification to abandon jQuery, even if the platform’s developers don’t want us to stop using it. Many new websites will still continue to be built with JQuery, look at newer frameworks like bootstrap they still utilize this great framework, it’s a decade old but it’s still in good shape and it’s still the most vibrant JS library in the market. jQuery is simple to learn, even for the newbies. What’s wrong in using jQuery? The only drawback I can see in using jQuery is that your code will be slightly bigger than when not using jQuery. Hence the starting time may be a bit longer when visiting your web page for the first time. While browser contribute to have varying support for the standards jQuery and Zepto.js have a valuable use in abstracting away the differences. For example the bubbling focusIn and foocusout events are not supported by Firefox but can be used safely with these libraries. Otherwise I generally agree with you. An alternative approach is to use these libraries as ‘scaffolding’ to get your site/app up and running and then to be replaced by browser-native code. (for the most part) relatively simple to create and use. 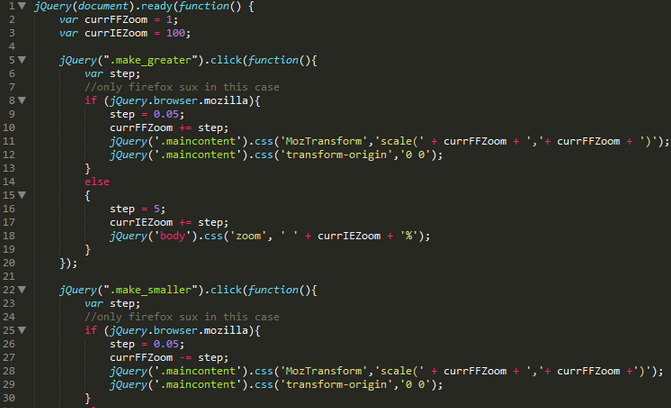 While I haven’t used JQuery in a few years, I don’t regret learning it in the slightest. Gives a good foundation for understanding DOM manipulation without a steep learning curve. Uses selectors compliant with CSS – as in learning JQuery selectors will help you understand CSS selectors and vice versa. While the framework ecosystem seems pretty unstable atm, JQuery remains solid and popular. The plugin ecosystem is second to none. Therefore it’s not a must. But: SizzleJS is not the best part about jQuery. IMHO it’s the event abstraction and the Ajax abstraction which make many things a lot easier. And it eases the pain when you begin to develop JS apps. 100% YES and Yes if you’re trying to work as a developer. Even if you don’t use it on some newer dev projects, eventually you’ll find older or simple projects where it makes A LOT of sense to use jQuery for convenience. JQuery is the most mature JS “framework library” available. Its utilities are highly optimized, thoroughly tested, and implemented consistently. Its plugin system provides a rich ecosystem and an elegant mechanism to override default behaviors without changing the core library. A better question is should you learn Angular? It is now moving to a controversial 2.x series that is not backward compatible. It encourages developers to write PHP-style embedded logic that is very difficult and expensive to test, and it abstracts so much of what is really happening in the browser (“automatic two-way data binding”) that novice developers are blinded to the possibilies outside its myopic philosophy of web applications. I found it funny at the last HTML 5 developer conference in SF that all the presenters were trying to outdo each other claiming how “little” they used jQuery. The take away? They all use jQuery! That’s because its mature, reliable, easy, noninvasive, and performs very well.